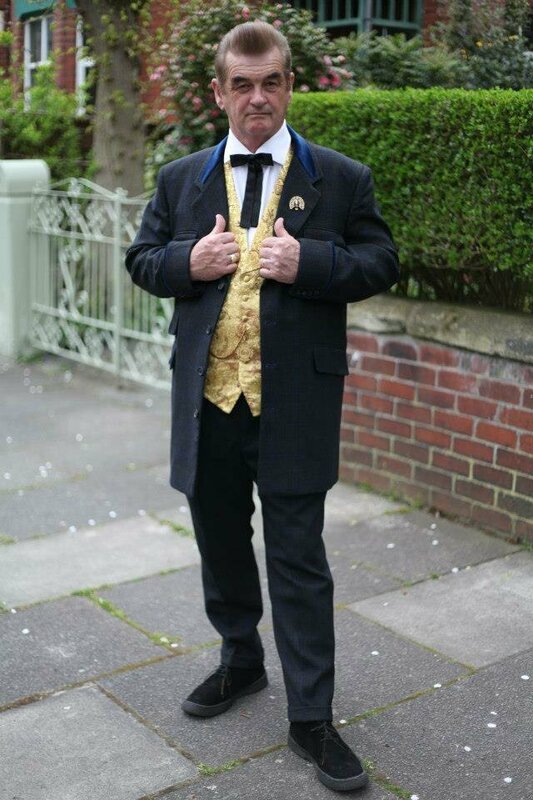 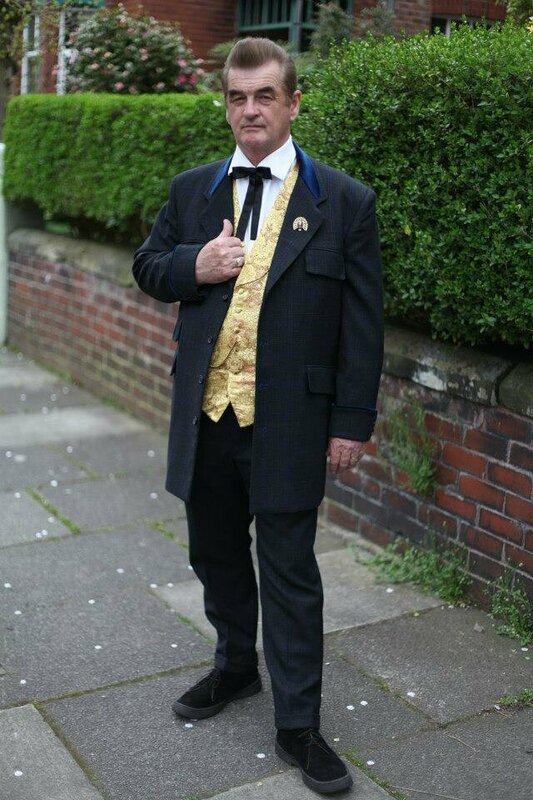 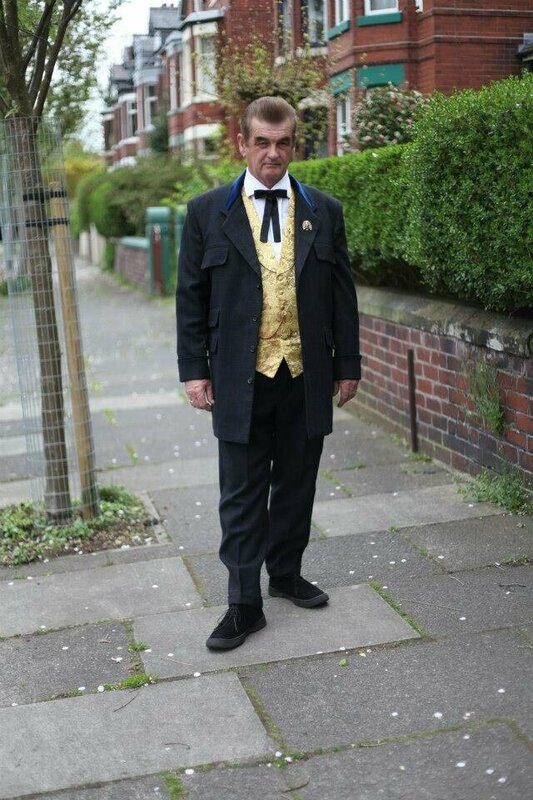 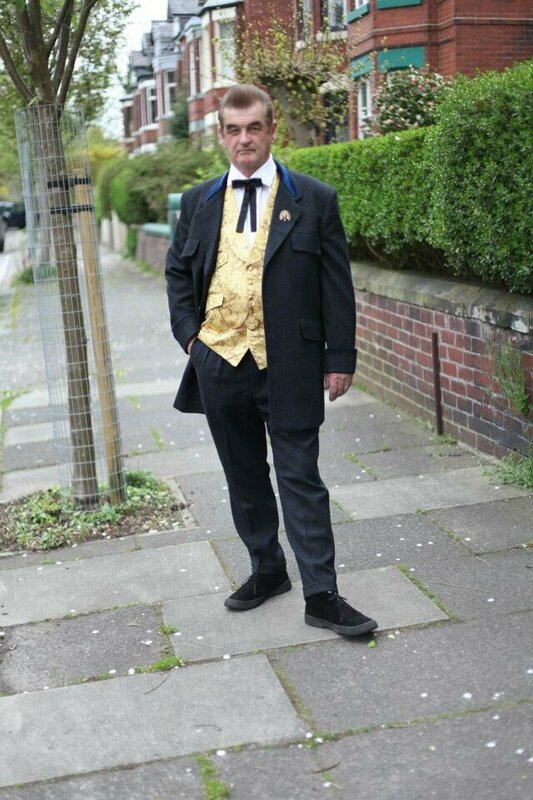 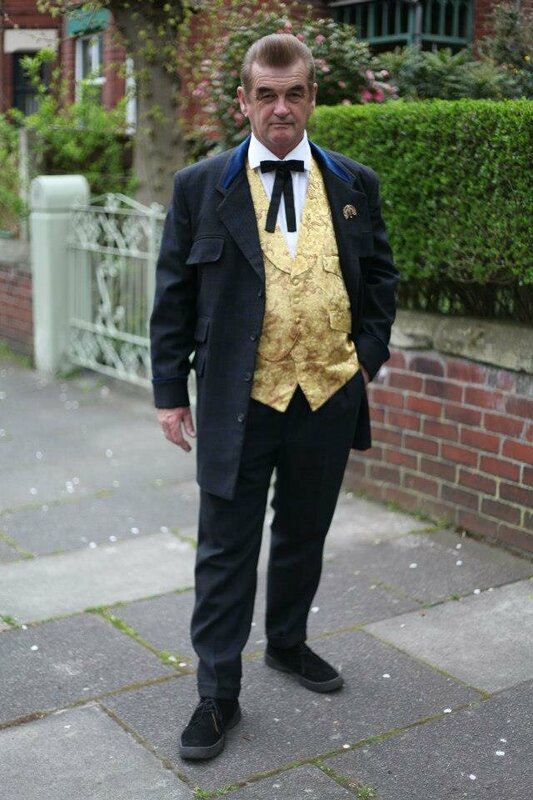 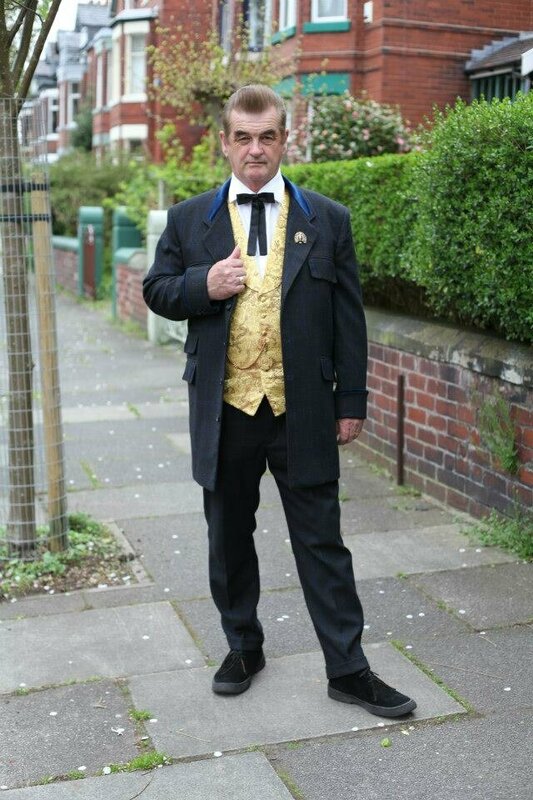 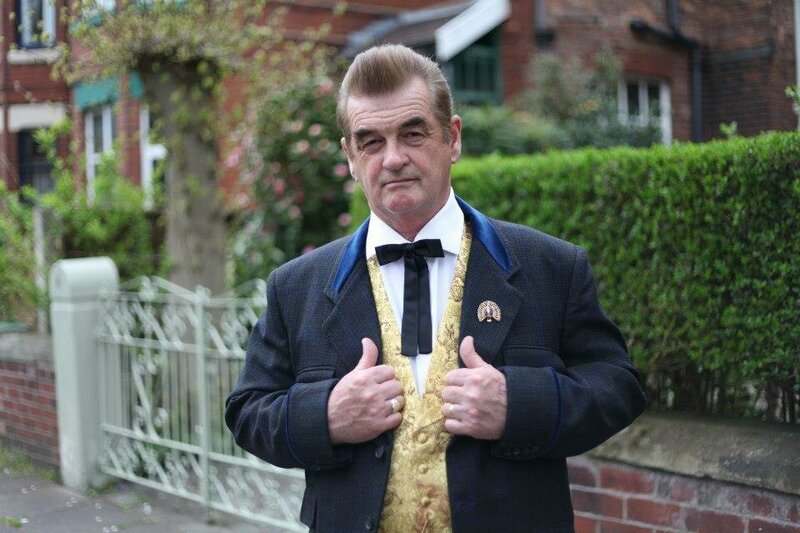 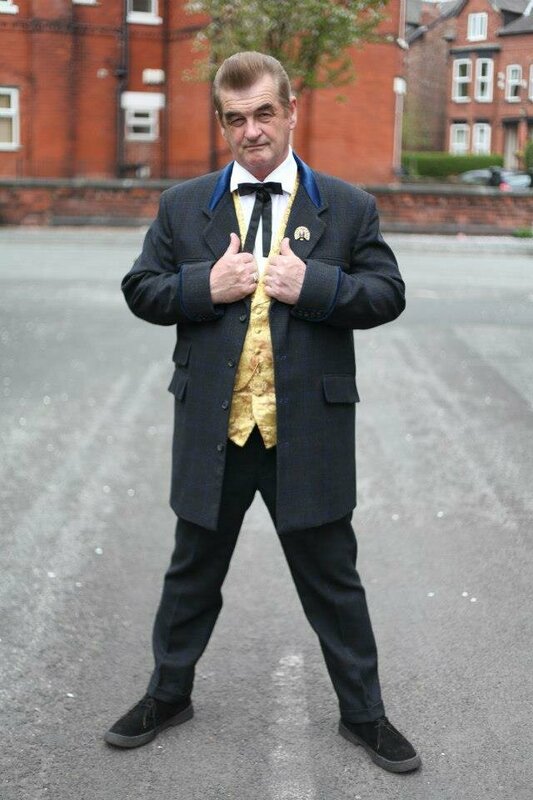 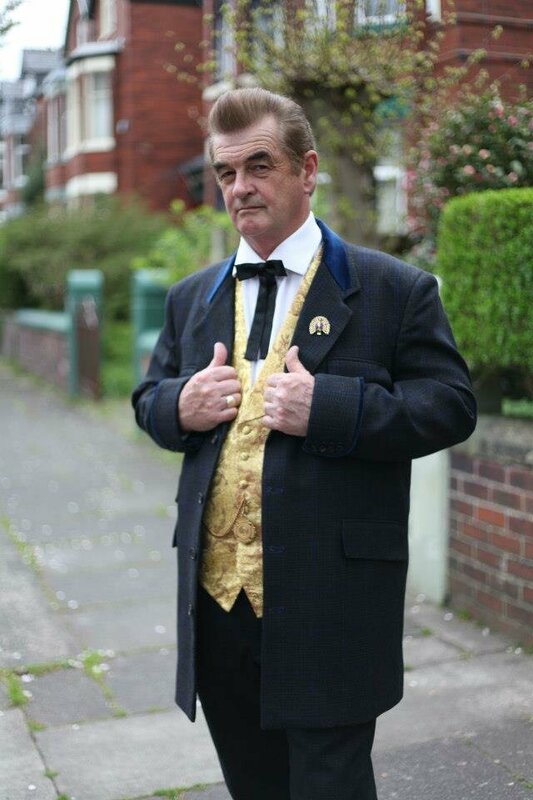 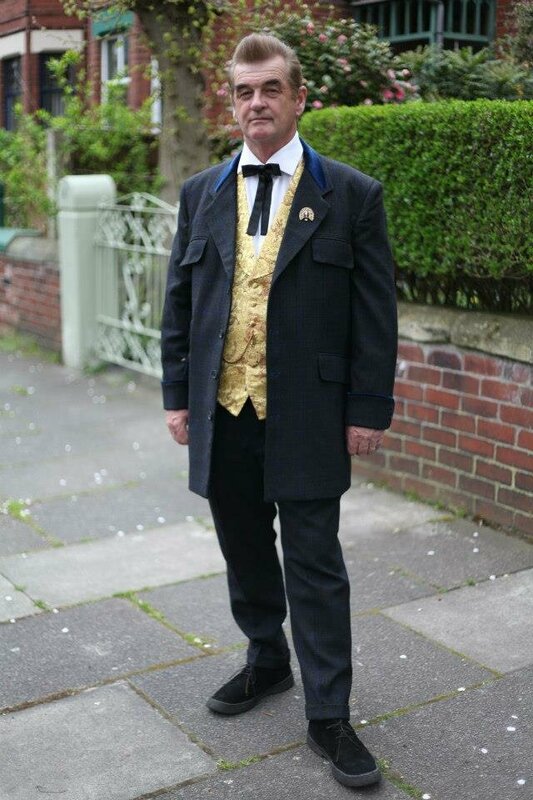 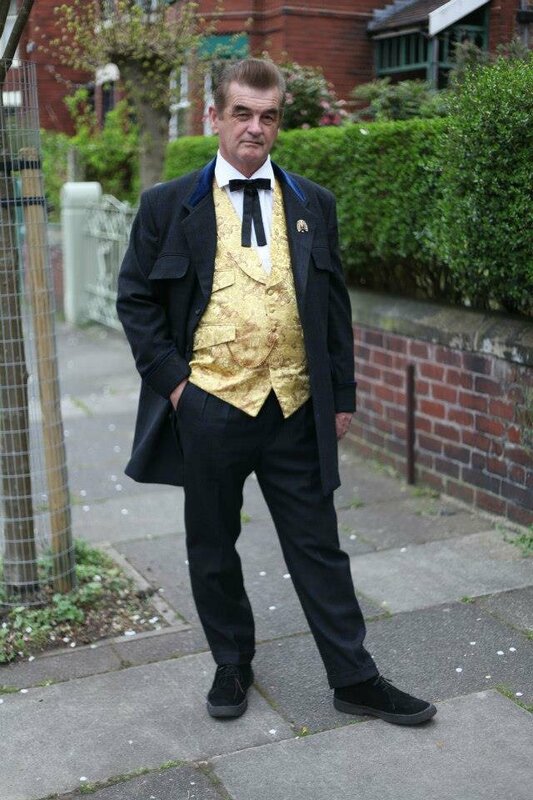 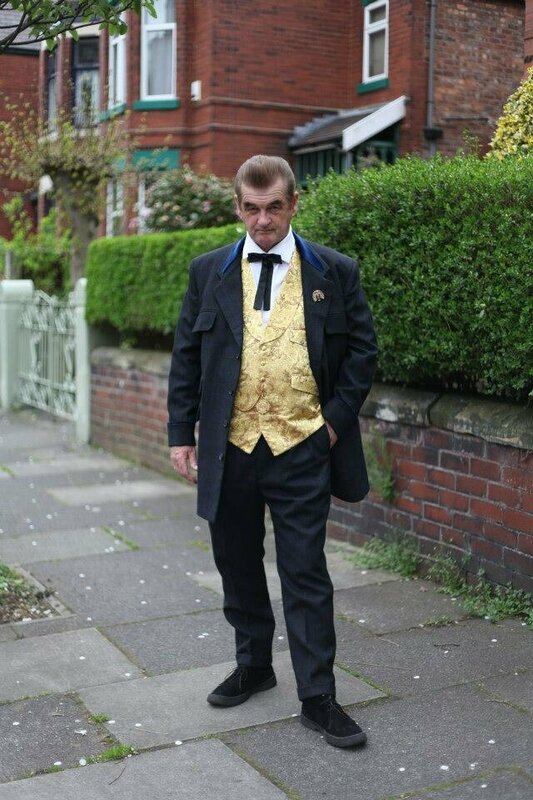 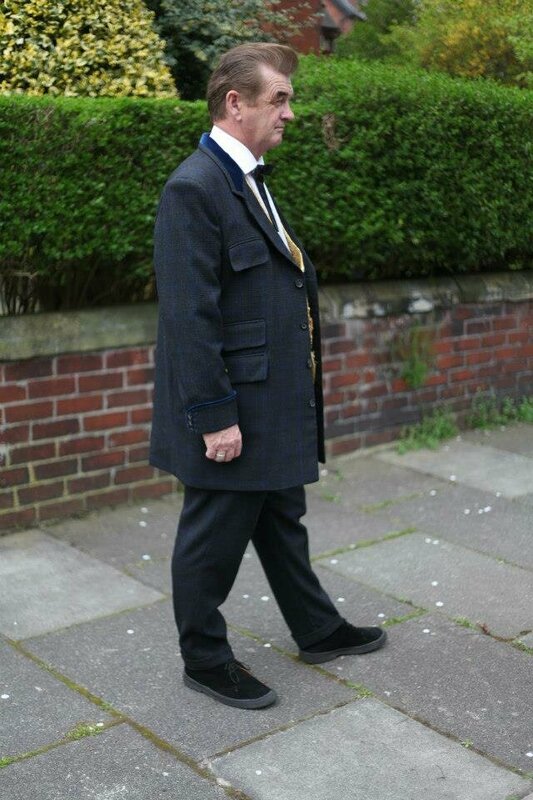 This page is a series of photographs of a two piece replica of an original pre 1955 style Edwardian Drape suit that was tailored by John Anthony Tailors of Oldham Street, Manchester. 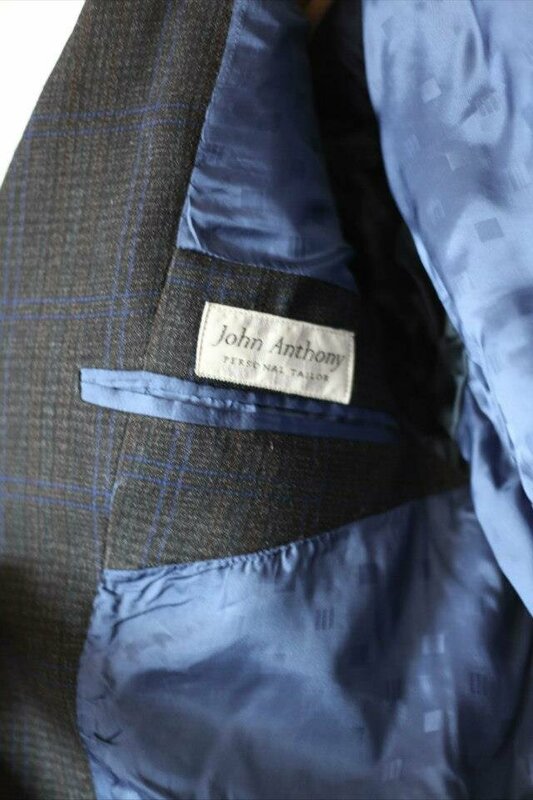 The cloth, which is an original 1957 heavy worsted, was obtained by Nidge from a lady at Ainley Top near Huddesfield who worked in the Huddesfield Cloth trade. 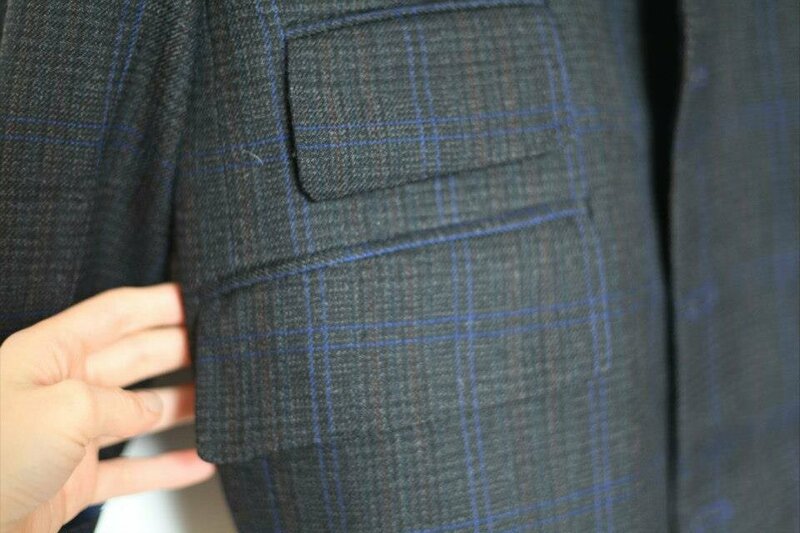 It is a Charcoal Grey with Royal Blue with Red stripe. 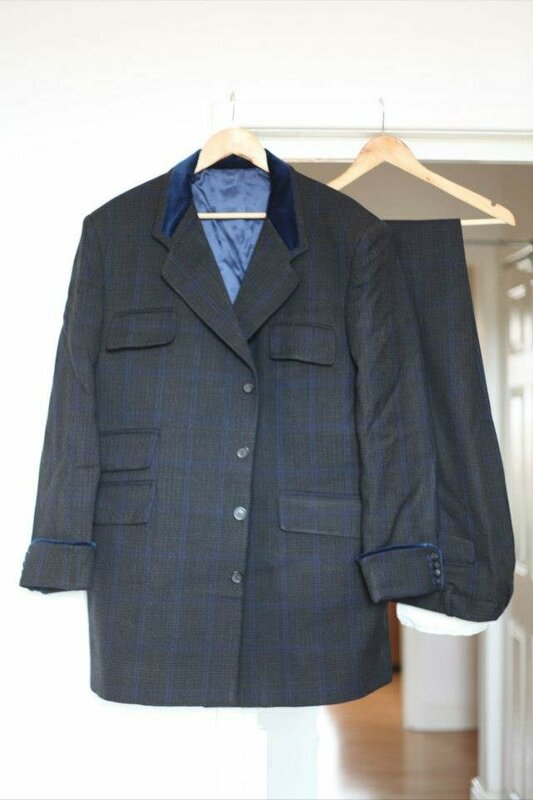 The design is of an original pre 1955 look and the blue velvet collar was specially selected to match the window pane. 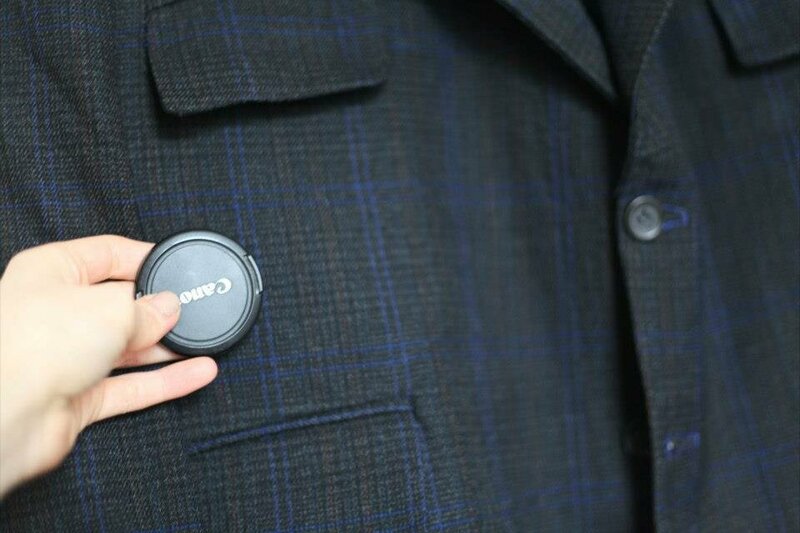 It has a four button front with 4" lapels. 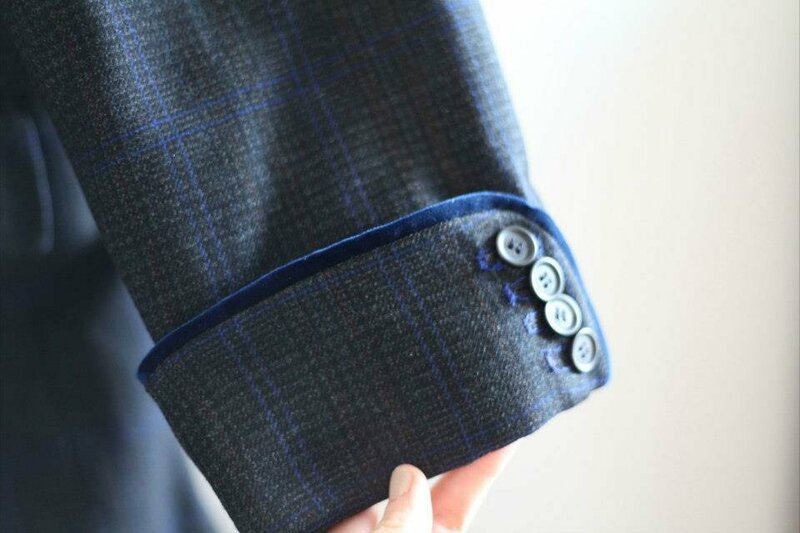 The cuffs are 31/2" pirate style with four opening buttons to hold the cuffs to the sleeve. 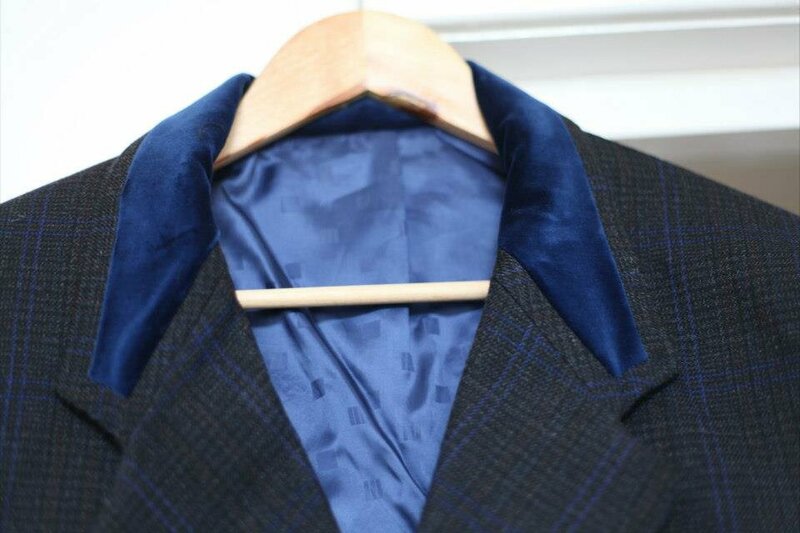 The cuffs are edged with matching blue velvet beading. 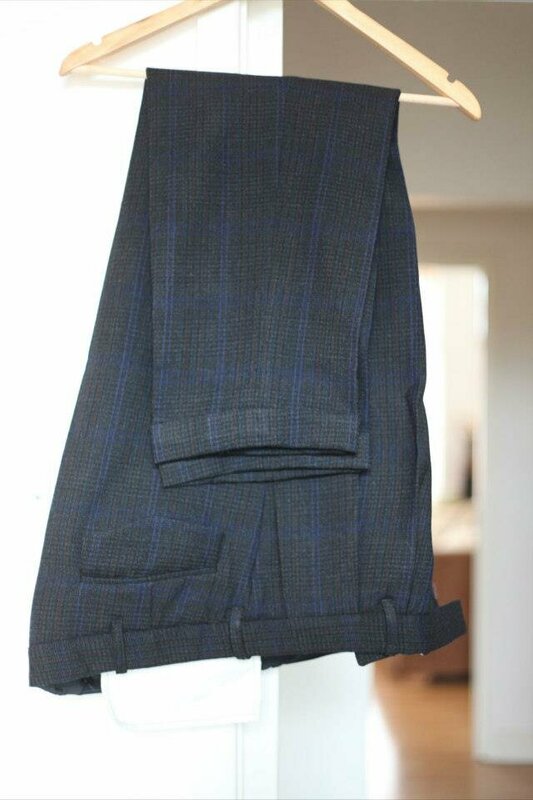 The trousers are 17" bottoms with turn-up's on a sloping guardsman's fall, the front has twin inward facing double pleats. 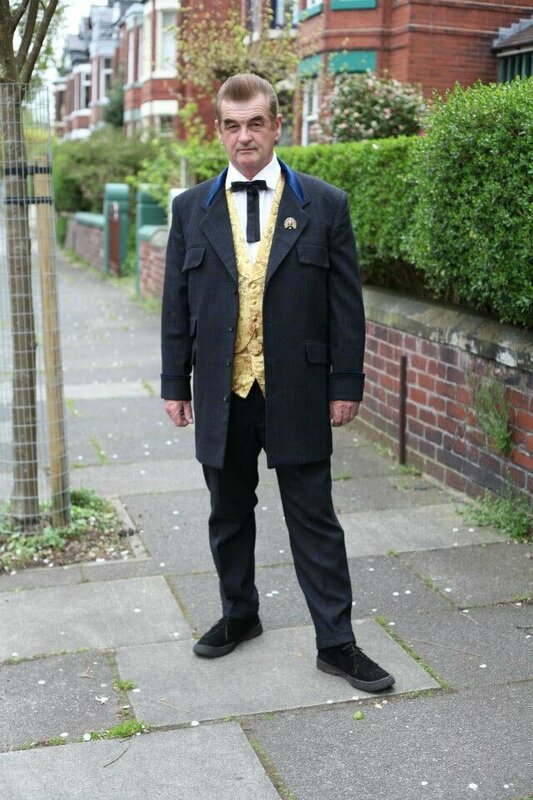 The waistcoat is a gold silk patterned emperor dragon pattern with a shawl collar and sloping flap sample pockets with a gold watch chain. 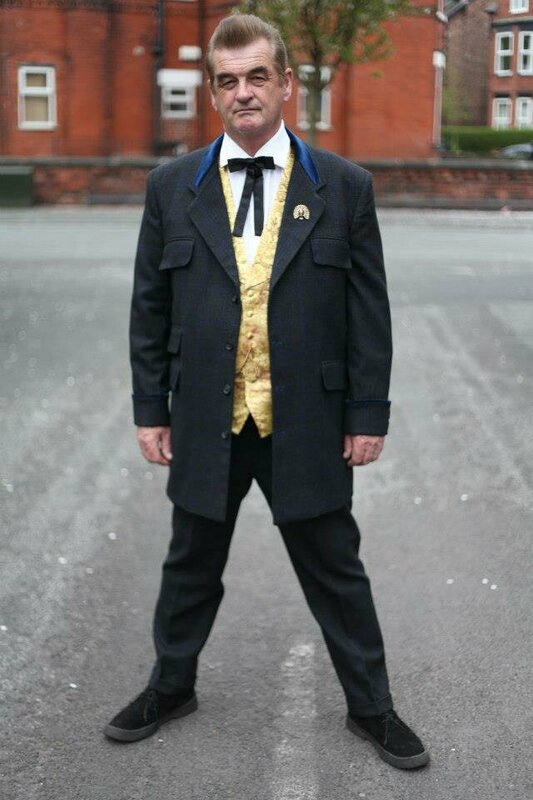 Photographs are Copyright: Rose van T Photography, Manchester.